I took the GMAT last week and got a score of 630 (Q43, V34) after my first trial in February in which I got a 590 (Q38, V32). I studied for the first one for about 3 months using MGMAT books and took half of the OG problems. After my first exam I finished all of the remaining OG questions and took the extra ones ( I only focused on quant). Anyways I am wondering where I should go from now on? I am trying a few online courses but still confused about which one would benefit me the most. I am also wondering on how to strengthen my verbal, should I just practise on more questions? I would like to get at least a 700 on my next test in which I'll be sitting for early May. I have attached both of my ESRs. Appreciate your help. You are at decent ability in Verbal and need to work mainly on perfecting the application skills but, need to work a lot on your Quant skills. To score a 700 you need at least a Q47 along with V38. A month of dedicated effort should help you achieve it. You can create a detailed study plan yourself using the Personalised Study Planner. To boost your Verbal score further first, identify the weak areas precisely and then improve upon them. You can take a Verbal Ability Quizin Scholaranium and analyse the Skill Data section. If you have taken mock tests/solved practice questions you can analyse them as well. Learn how to analyse GMAT mock tests to course correct effectively. •	Get a good understanding of each concept that GMAT tests and then learn a methodical approach to solve GMAT quant questions. Target the weaker areas first e.g., Geometry, Rates/Ratio/Percent etc. You can take a Quant Ability Quiz in Scholaranium to get precise feedback on each and every topic. •	Only when you learn the concepts and processes well, you can practice applying them on different questions. OGs are a good source to practice from. Learn how Shekhar leveraged a methodical approach and precise analysis of performance to improve from 600 to 770. Jacqueline could also improve from a 640(Q45,V32) to 720 (Q49, V40). In both Quant and Verbal, you faced time crunch towards the end and time was distributed unevenly, in some cases higher time being spent on questions you got wrong in the end. Alongside, building ability it is important to manage time well for scoring high. Learn how to distribute time effectively from this article – GMAT Timing Strategy. You can do so using the existing resources or using the resources shared below to help you with Prep. You can get access to a lot more of these videos and practice questions once you sign up for the Free Trial. 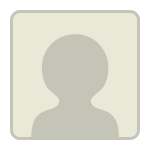 It is great that you are looking at Online courses. Most of the reviews on GMAT Clubare for Online courses as they are found to be beneficial by students. You can also attend the free sessions this weekend to learn the methodical approaches. •	Learn how to leverage the Meaning and Logic to solve most challenging SC questions. Click here to register for the session - How to approach Sentence Correction. •	Learn how to tackle Number Properties questions in less than 2 minutes. Click here to register for the session – Number Properties webinar. If you want to discuss the strategy over a call, feel free to reach out to us at support@e-gmat.com or PM me, referencing this post. GMAC has publicly stated that the Official Score that you earn on Test Day is within +/- 30 points of actual ability. Your 2 Official Scores show that you essentially performed the same each time (about 610 +/- a few points). There are a number of data points in your 2 ESRs that confirm that you're 'responding' to the GMAT in the same general ways as before. You handle certain aspects of the GMAT consistently well, but you also make certain consistent mistakes. Raising a 610 to the point that you can consistently 700+ will likely require at least another 2 months of consistent, guided study - and you'll have to make significant improvements to how you handle BOTH the Quant and Verbal sections. Thankfully, the GMAT is a consistent, predictable Exam, so you CAN train to score at a higher level. A Test Date in early May would give you just about 5 weeks of additional study time, but that might not be enough time to get you to your Goal Score; as such, you might need to consider pushing back your Test Date. 1) What type of study routine have you been following? How many hours do you typically study each week? 2) How have you scored on EACH of your CATs/mocks (including the Quant and Verbal Scaled Scores for EACH)? 4) In a prior post, you said that you wanted to apply for Round 3. What are your application plans now? What deadline(s) are you facing? 1) I am taking time off work for studying so I am doing this full time. So I'd say 30 hours per week minimum and I can commit to more if necessary. 2) I only took one mock late december 2018 and scored a 540 (Q35, V29), I remember guessing the last 4 questions on quant because I ran out of time. 4) I did submit my application for LBS, not yet for the others. The deadline I am facing is early May. I’m glad you reached out, and I'm happy to help. The good news is that 630 is not a bad start. However, since you are still 70 points from your score goal, the information on your ESR is not incredibly helpful. Overall, we know that your quant score currently stands at 43 and your verbal score at 34. So, to improve by 70+ points, you’ll need to improve in all aspects of GMAT quant and verbal. To do so, consider following a structured study plan that allows you to master the GMAT topic by topic through linear learning and focused practice. By studying in such a way, you can ensure that you methodically learn GMAT quant and verbal and fill in any knowledge gaps. Let me expand on this idea further. If you are learning about Number Properties, you should develop as much conceptual knowledge about Number Properties as possible. In other words, your goal will be to completely understand properties of factorials, perfect squares, quadratic patterns, LCM, GCF, units digit patterns, divisibility, and remainders, to name a few concepts. After carefully reviewing the conceptual underpinnings of how to answer Number Properties questions, practice by answering 50 or more questions just from Number Properties. When you do dozens of questions of the same type one after the other, you learn just what it takes to get questions of that type correct consistently. If you aren't getting close to 90 percent of questions of a certain type correct, go back and seek to better understand how that type of question works, and then do more questions of that type until you get to around at least 90 percent accuracy in your training. If you get 100 percent of some sets correct, even better. Number Properties is just one example; follow this process for all quant topics. When you are working on learning to answer questions of a particular type, start off taking your time, and then seek to speed up as you get more comfortable answering questions of that type. As you do such practice, do a thorough analysis of each question that you don't get right. If you got a remainder question wrong, ask yourself why. Did you make a careless mistake? Did you not properly apply the remainder formula? Was there a concept you did not understand in the question? By carefully analyzing your mistakes, you will be able to efficiently fix your weaknesses and in turn improve your GMAT quant skills. Follow a similar routine for verbal. For example, let’s say you start by learning about Critical Reasoning. Your first goal is to fully master the individual topics: Strengthen the Argument, Weaken the Argument, Resolve the Paradox, etc. As you learn about each question type, do focused practice so that you can track your skill in answering each type. If, for example, you get a weakening question wrong, ask yourself why. Did you make a careless mistake? Did you not recognize the specific question type? Were you doing too much analysis in your head? Did you skip over a keyword in an answer choice? You must thoroughly analyze your mistakes and seek to turn weaknesses into strengths by focusing on the question types you dread seeing and the questions you take a long time to answer correctly. When practicing Reading Comprehension, you need to develop a reading strategy that is both efficient and thorough. Reading too fast and not understanding what you have read are equally as harmful as reading too slow and using up too much time. When attacking Reading Comprehension passages, you must have one clear goal in mind: to understand the context of what you are reading. However, you must do so efficiently, so you need to avoid getting bogged down in the details of each paragraph and instead focus on understanding the main point of each paragraph. That being said, do not fall into the trap of thinking that you can just read the intro and the conclusion and thereby comprehend the main idea of a paragraph. As you read a paragraph, consider how the context of the paragraph relates to previous paragraphs, so you can continue developing your overall understanding of the passage. Furthermore, as you practice, focus on the exact types of questions with which you struggle: Find the Main Idea, Inference, Author’s Tone, etc. As with Critical Reasoning, analyze your incorrect Reading Comprehension answers to better determine why you tend to get a particular question type wrong, and then improve upon your weaknesses. Keep in mind that GMAT Reading Comprehension passages are not meant to be easy to read. So, to better prepare yourself to analyze such passages, read magazines with similar content and style, such as the Economist, Scientific American, and Smithsonian. Sentence Correction is a bit of a different animal compared to Reading Comprehension and Critical Reasoning. There are three aspects to getting correct answers to GMAT Sentence Correction questions: what you know, such as grammar rules, what you see, such as violations of grammar rules and the logic of sentence structure, and what you do, such as carefully considering each answer choice in the context of the non-underlined portion of the sentence. To drive up your Sentence Correction score, you likely will have to work on all three of those aspects. Regarding what you know, first and foremost, you MUST know your grammar rules. Let's be clear, though: GMAT Sentence Correction is not just a test of knowledge of grammar rules. The reason for learning grammar rules is so that you can determine what sentences convey and whether sentences are well-constructed. In fact, in many cases, incorrect answers to Sentence Correction questions are grammatically flawless. Thus, often your task is to use your knowledge of grammar rules to determine which answer choice creates the most logical sentence meaning and structure. This determination of whether sentences are well-constructed and logical is the second aspect of finding correct answers to Sentence Correction questions, what you see. To develop this skill, you probably have to slow way down. You won't develop this skill by spending under two minutes per question. For a while, anyway, you have to spend time with each question, maybe even ten or fifteen minutes on one question sometimes, analyzing every answer choice until you see the details that you have to see in order to choose the correct answer. As you go through the answer choices, consider the meaning conveyed by each version of the sentence. Does the meaning make sense? Even if you can tell what the version is SUPPOSED to convey, does the version really convey that meaning? Is there a verb to go with the subject? Do all pronouns clearly refer to nouns? By slowing way down and looking for these details, you learn to see what you have to see in order to clearly understand which answer to a Sentence Correction question is correct. There is only one correct answer to any Sentence Correction question, there are clear reasons why that choice is correct and the others are not, and those reasons are not that the correct version simply "sounds right." In fact, the correct version often sounds a little off at first. That correct answers may sound a little off is not surprising. If the correct answer were always the one that sounded right, then most people most of the time would get Sentence Correction questions correct, without really knowing why the wrong answers were wrong and the correct answers were correct. So, you have to go beyond choosing what "sounds right" and learn to clearly see the logical reasons why one choice is better than all of the others. As for the third aspect of getting Sentence Correction questions correct, what you do, the main thing you have to do is be very careful. You have to make sure that you are truly considering the structures of sentences and the meanings conveyed rather than allowing yourself to be tricked into choosing trap answers that sound right but don't convey logical meanings. You also have to make sure that you put some real energy into finding the correct answers. Finding the correct answer to a Sentence Correction question may take bouncing from choice to choice repeatedly until you start to see the differences between the choices that make all choices wrong except for one. Often, when you first look at the choices, only one or two seem obviously incorrect. Getting the right answers takes a certain work ethic. You have to be determined to see the differences and figure out the precise reasons that one choice is correct. To improve what you do when you answer Sentence Correction questions, seek to become aware of how you are going about answering them. Are you being careful and looking for logic and details, or are you quickly eliminating choices that sound a little off and then choosing the best of the rest? If you choose an incorrect answer, consider what you did that resulted in your arriving at that answer and what you could do differently in order to arrive at correct answers more consistently. Furthermore, see how many questions you can get correct in a row as you practice. If you break your streak by missing one, consider what you could have done differently to extend your streak. As with your Critical Reasoning and Reading Comprehension regimens, after learning a particular Sentence Correction topic, engage in focused practice with 30 questions or more that involve that topic. As your skills improve, you will then want to practice with questions that test you on skills from multiple Sentence Correction topics. 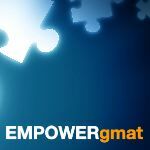 Regarding resources, in addition to seeking advice in this thread, take a look at the GMAT Club reviews for the best quant and verbal courses, and also read through some [url=https://gmatclub.com/forum/share-your-gmat-experience-8/?fl=menu] GMAT success stories to see what materials have worked well for other test-takers. 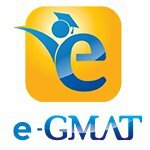 [url=http://blog.targettestprep.com/how-to-score-a-700-on-the-gmat/] how to score a 700+ on the GMAT. I've sent you a PM with an analysis of your 2 ESRs along with some additional notes and questions.